Myriad felt the financial blow of the ruling very quickly. Shares fell 5.6% as soon as the order was filed. Prior to the ruling, they earned $400 million in 2012 from molecular testing according to Kalorama Information. Having control over the use of something as important as human genes creates infinite opportunities to capitalize on the healthcare needs of people. Research companies are now encouraged to be progressive and compete for the best solutions to bring to the IVD industry. It's not all doom and gloom for Myriad Genetics. The monopoly was taken from them, but the market share didn't leave with it. They are still a strong competitor and developed great services for for physicians. For the IVD market, the sky is blue. Kalorama Information estimates that IVD tests are a $5.8 billion market with a projected growth of 8% annually. Now, take a moment to contemplate how much of those billions of dollars were going to Myriad Genetics. To compound the amazement, Shara Rosen, lead diagnostics analyst for Kalorama Information, notes that since 1984, the U.S. Patent and Trademark Office issued over 40,000 gene-related patents. 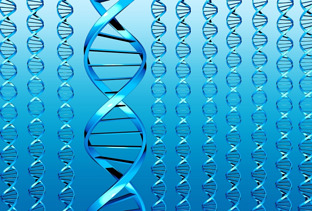 Of that 40,000, 25% of human genes were patented. Those are now invalid. Looking forward, the possibilities are endless. Ultimately, we want innovation and progress with testing. Catching diseases early and improving preventative measures is what's best for the world. With the limitations hampering genetic research labs lifted, there is a renewed energy and zest to concentrate on enrichment and innovation. The Supreme Court has made rulings in the past that have stirred up plenty of debate. I think it's safe to say that this ruling is what's best for both the IVD market and society as a whole. For more information on the world of Cancer Diagnostics, click below.